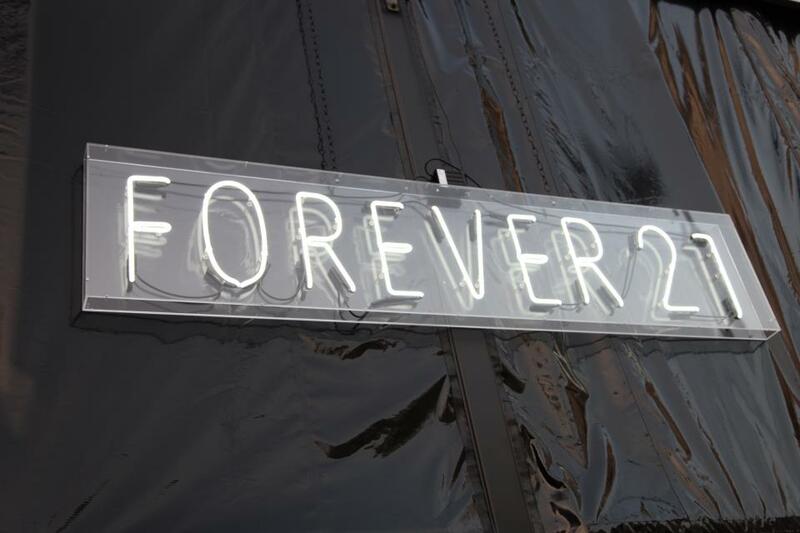 ECLECTIC À LA MODE | style blog: FOREVER21 NEW FLAGSHIP OPENING + DISCOUNT COUPON! FOREVER21 NEW FLAGSHIP OPENING + DISCOUNT COUPON! 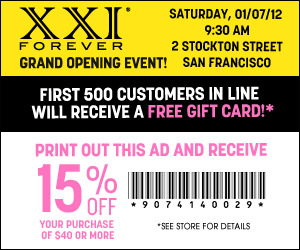 Forever21 is holding its new flagship store opening on Stockton Street this Saturday in SF, and what's more I've been invited to flag my picks of pieces throughout the store! If you've ever wanted to snag some style ideas from my closet, come check out what I put together on my way through the new brick and mortar spot for one of my choice places for easy on-trend items that aren't going to break my budget. Arrive early, and you could catch an even bigger deal on your purchase. Simply print out this coupon and get your tush in the door, early bird! First 500 in line get a gift card! And hey, if you see me, flag me down and say hello! I just might get the chance to compare wishlists with you.